Granting relief to social activist Teesta Setalvad and her husband, a Supreme Court Bench comprising of Justice Dipak Misra and Justice A.K. Goel has directed the Gujarat Police to refrain from arresting them in a case which alleged embezzlement of funds for a museum at Ahmedabad's Gulbarg Society which witnessed the most horrific form of killing during Gujrat riots of 2002. The direction came while the bench reserved its judgment on a plea seeking anticipatory bail for the couple. There was formidable contingent of lawyers present in the Court for Ms .Teesta Setalvad. Apart from Mr Kapil Sibal who argued the case, Mr.K.K Venugopal, Andhyarujina, Rajiv Dhawan, Dushyant Dave, Indira Jaisingh, Huzefa Ahmadi, Kamini Jaiswal, Prashant Bhushan were present in the court to express their solidarity. For State of Gujrat Senior Advocate Mahesh Jethmalani appeared. The code of Conduct for judges framed in 1999, says that “Justice must not merely be done but it must also be seen to be done.” It further says that, “A judge shall practice a degree of aloofness consistent with the dignity of his office.” It further says that a judge shall not decide a matter in which a friend is concerned. A consistent reading of this code requires that a judge should not socialize with politicians unless they are his close personal friends, and if so they should not hear cases concerning them. A person in Teesta's position can reasonably apprehend that Modi must have been invited to the weddings of the judges' children because they are his personal friends and in which case, she can reasonably apprehend bias in this case. I therefore feel that this is a case where the judges would be well advised to recuse themselves from the case, in order to, as the code of conduct says, “reaffirm the people's faith in the impartiality of the judiciary." The case was considered by the High Court as a fit case of custodial interrogation in public interest. Senior Advocate Kapil Sibal began his argument by saying that no one was above law and anyone committing any wrong, whoever he or she may be, cannot get away with the law and this "I am saying with all humility". He paused for a while and said “State is also not above law”. His contention was that in such a case, even the State cannot commit any wrong against the people who have been putting up a fight against it. 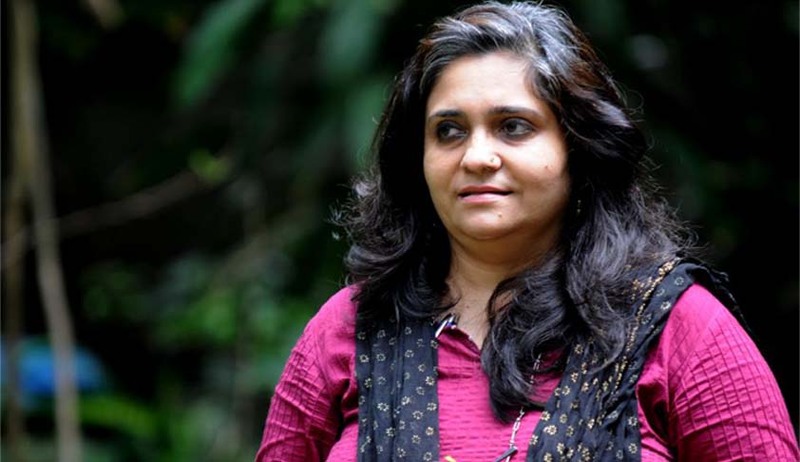 Highlighting Setalvad’s legal struggle, he said there have been six FIRs against them in which they were protected by the courts and the case at hand was the seventh FIR, in which "wrong" facts have been made the basis for booking them. The Bench made it clear at the outset that it seemed to be a case of anticipatory bail and hence the onus was on Gujarat police to highlight the need for custodial interrogation. The Bench hence observed, "No one will ever barter his liberty for all the teas in China, for all the pearls in the sea and for all the stars in the sky. Liberty is that paramount... For me give me liberty or give me death. Personal liberty is paramount… is this a case where the liberty should be taken away or curtailed?" The bench made it clear that it was not going to deal with the concept of "malafide" prosecution when dealing with the anticipatory bail. "We accept that custodial interrogation has its own value but this is just a case of mismanagement of accounts. Personalities do not become protagonists. A case is a case having human face and a case rests on its own facts,"
The Bench dismissed Mr. Sibal’s, suggestion that the Gujarat Government should ask for documents instead of going for custodial interrogation. The court expressed its displeasure by observing "Don't act smart Mr Sibal. You provide all the documents. You also provide the list of donors." "I have never played smart with the judges in my 42-year long career," Mr. Sibal shot back, adding, "whatever documents they ask me, I will give them in one week." . Then the Bench consoled Mr Sibal by saying that Mr. Sibal had taken it wrongly and that was not meant by the Court. The Bench has accepted Mr. Sibal’s request that their accountant would be allowed to represent along with them before the Gujarat Police during the inquiry. The Bench also refused to respond to Mr. Sibal’s request that the investigation should be conducted in Mumbai instead of Gujarat as the Trust is managed by Mumbai Trust Act. Mr. Mahesh Jethmalani made an attempt to refute the demand by posing the question as to how can the police go all the way to Mumbai to carry out the investigation. His objection however didn’t go down well with the former Additional Solicitor General Indira Jaising, who said if Gujarat Police could rush to the doorstep of Setalvad immediately after rejection of her anticipatory bail plea, why can't they go to Mumbai. "rank non-cooperation and tampering with the witness." "without putting the liberty of a person on ventilator or putting a person in intensive care unit (ICU)." During the course of arguments Mr. Mahesh Jethmalani conceded section 72 A of the Information Technology Act and Section 468 of IPC. According to him, even if the case in hand was not of forgery and criminal breach of trust, the couple could still be interrogated in custody for the offence of section 420 (cheating) of the IPC. This did not deter the Bench from its stand which said, "The question is purely a question of law and liberty. The question is can the liberty be put on the ventilator or in the ICU," adding, "You require documents from them and they are obliged to provide documents under law." Responding to this, Mr. Jethmalani asked, "We have to interrogate and find whether the money has gone. Can't police entitle to go into the money trail?" , but the bench said the accused can show the accounts book and other documents about the donors. The Bench maintained that barring the contention that "they have not cooperated", there was nothing more to justify custodial interrogation. The Bench asked whether this case could be equated with any of the chit-fund scam or any other scam involving huge amounts of money and requiring custodial interrogation. He then went on to contend that an appraisal of the couple’s bank account showed they had more money than what was given by the auditors in their reports. According to him, Setalvad was not providing the statement about foreign funds received by Sabrang Trust under FCRA route. He also brought to the Court’s notice that one of the NGOs received a sum of Rs. 1.2 crore as donation from the Human Resources Development Minister during Mr. Sibal’s tenure. To this, the Bench remarked whether such questions should be posed during the preliminary enquiry or should it be put to the accused during the trial under section 313 of the Cr.P.C. A Complaint was filed in January 2014, by few former residents of Gulbarg Society, who had alleged that they were restrained from selling their property on the assurance that the NGOs would buy them. The promise was not fulfilled citing lack of funds. The Police had then booked Feroze Khan Pathan, Setalvad and others for allegedly usurping Rs 1.51 crore collected for a riot museum. Mr Sibal has been repeatedly telling the court that if State could show one entry in the entire accounts showing that petitioners has used trust fund, he is out of court and he challenged the State to show the same to the court. Ms Setalvad and her NGO “Citizens for Justice and Peace” were active in bringing the Gujarat riot cases to the Supreme Court. In the Best Bakery case, the apex court had indicted the then Modi government of Gujarat as “Modern day Neros who looked the other way when the best Bakery was burning”. She had also showered her support to Zakia Jafri, widow of former Congress MP Ehsan Jafri who was killed by a rioting mob in 2002, to put the Gujarat government and Mr Modi on the back-foot till the SC-appointed special investigation team gave the then CM a clean chit.